1.7 oz. 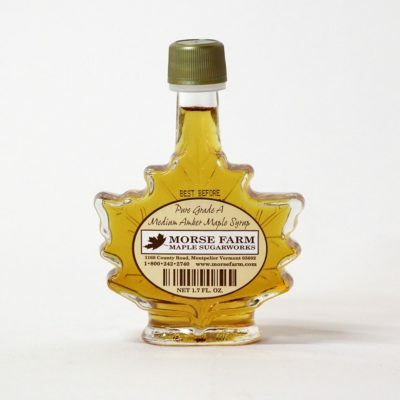 leaf bottle pure Morse Farm Maple Sugarworks Grade A Medium Amber Maple Syrup. This makes a great stocking stuffer or place one by each plate at your holiday breakfast.